The second daycare teacher involved in a vile ‘baby fight club’ ring at a Virginia nursery has been convicted of cruelty and several other counts of child abuse. Kierra Spriggs, 26, was found guilty on six counts of child abuse at a court in Prince William County on Tuesday, after it emerged she had forced toddlers as young as one to fight each other, reports The Sun. It’s suggested that she could now face up to three years imprisonment for her offences against children. 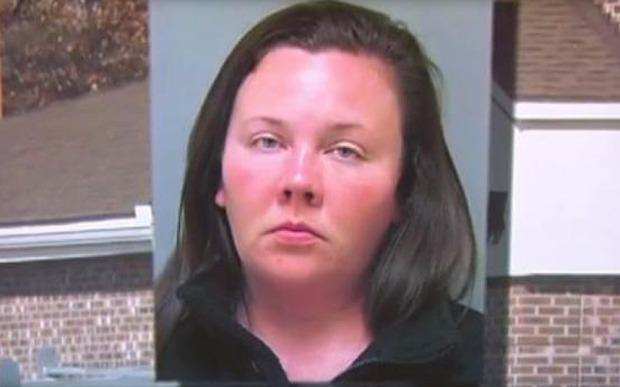 She is the second teacher from Minnieland Academy to be charged after Sarah Jordan, who was found guilty in January of physically and emotionally abusing children for her own entertainment and amusement. Jordan could potentially face decades in prison after she was found guilty of 13 felony and misdemeanour charges including assault and child cruelty. Details from the harrowing case emerged during the two week trial as her colleagues spoke of her evil wrongdoings. One spoke of how the former teacher would stamp on kids’ toes or snap elastic bands against their hands. Another recounted how she almost choked a girl after force feeding her spicy crisps. The parents of the children involved were outraged and spoke of how the abuse took its toll on their toddlers and that they noticed a significant change in them – without knowing the cause. Speaking to The Sun, the father of a two-year-old boy at the daycare centre said his son would sob every day before school. The teacher was making him the class bully made to fight. It was hard to hold back tears, emotional, it was very deep. Sprigg and Jordan will both be sentenced in May.